Features: All the Features and then some. Colours: Black Fabric and Mesh only. Rear lumbar support. 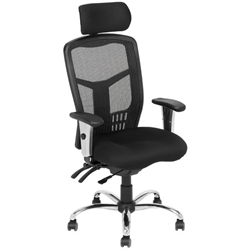 Adjustable and Removable Headrest.